You guys! I'm so happy with this quilt top! It needs a good name, so if you have any suggestions, I'd love to hear them. 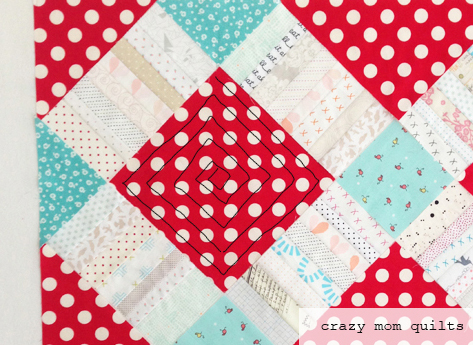 If you've been following along with the quilt along, you already know that this is a slightly smaller version of my June quilt from my book No Scrap Left Behind. 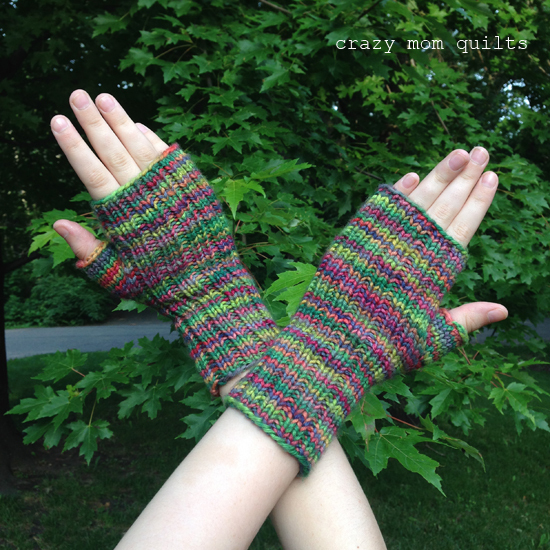 I had another finish this week....a pair of Maine Morning Mitts. 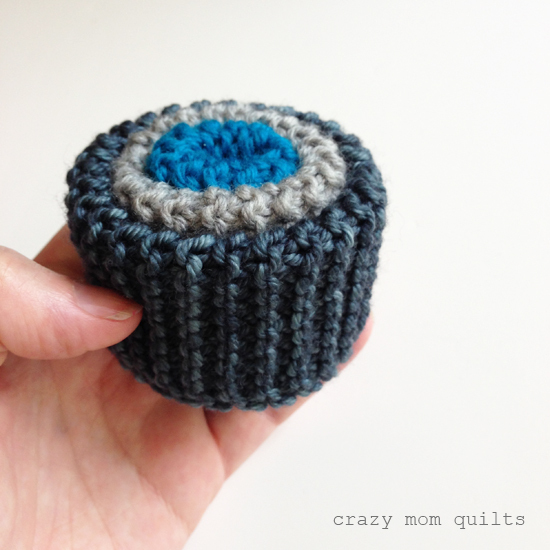 Knitting hand warmers in June is totally reasonable, right? My daughter actually wore them for a few days. Silly girl! Last weekend we took a quick trip to Iowa for my niece's graduation party, so this is one of the projects I took along to work on in the car. 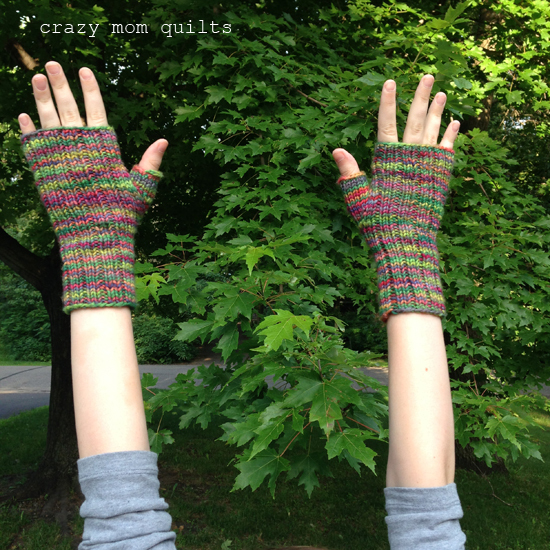 I have been stalled out on this project because they needed thumbs and I hate knitting thumbs! My motivation? 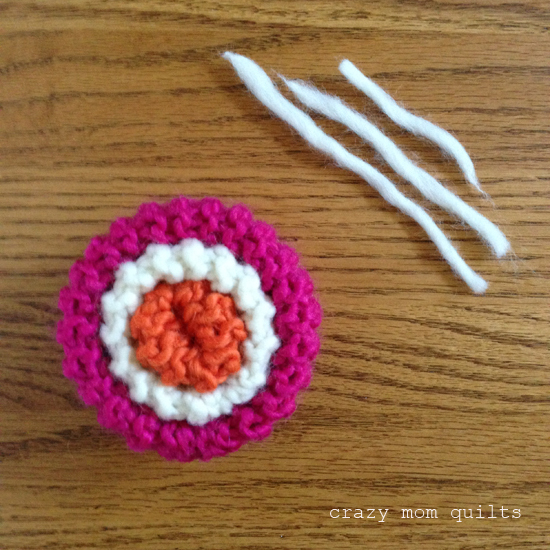 I wanted to use the leftover yarn to make knit pincushions. Hahahaha! I'm so glad I had the motivation to finish them! They are for my daughter and she LOVES them. Also, she was a willing model and the last photo was her idea. It was a lot of fun to photograph them with her! 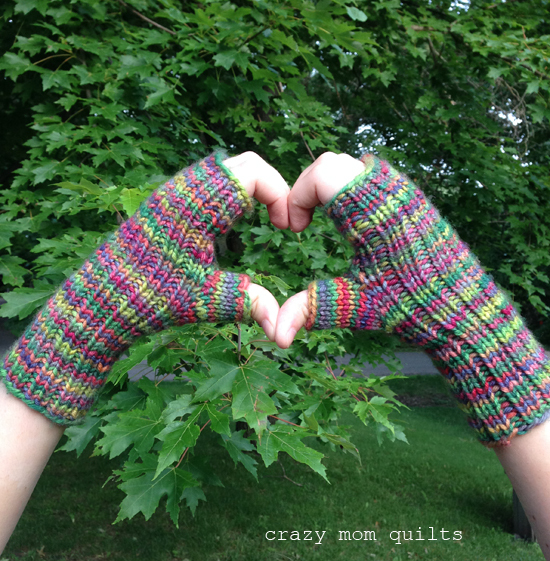 The pattern is Maine Morning Mitts, which can be found here. 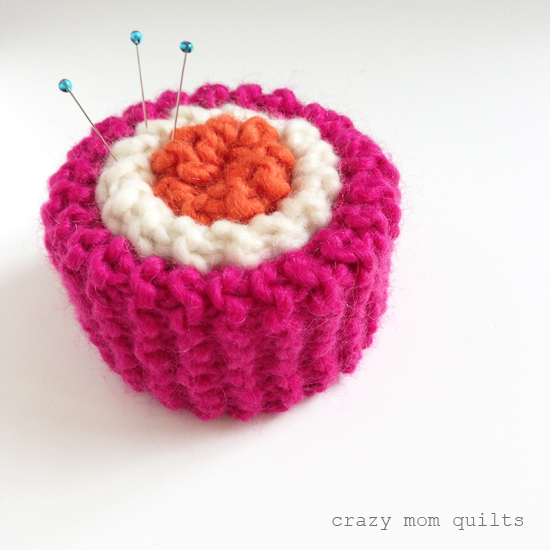 Tomorrow is July 1 and I decided that I am going to revisit my one a day pincushion challenge. I had so much fun with it last year and I'm super excited to try it again. I hope you enjoy following along! Just a quick note....I've decided that from here on out, I will keep the link up open for two days rather than one, so you have a bit more time to share your finishes. I hope that's helpful! Now, it's your turn. Please link up your finishes for the week. Thanks, as always, for joining me for finish it up Friday! 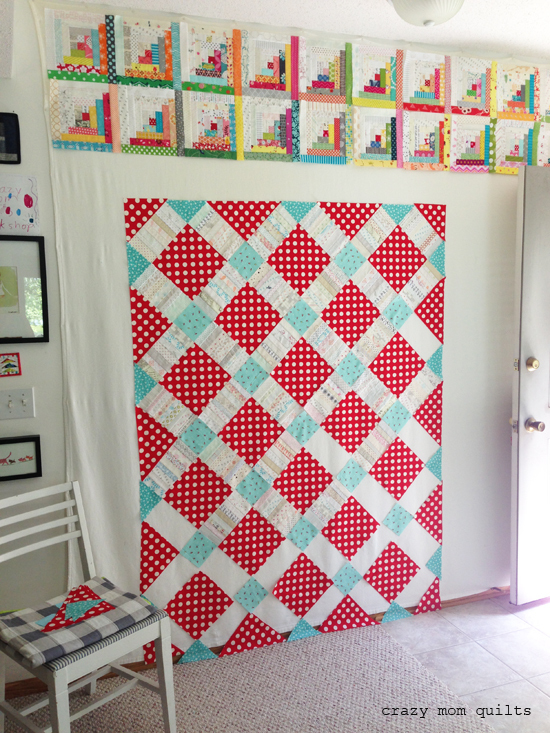 This week we are going to assemble the quilt top and talk about quilting options. 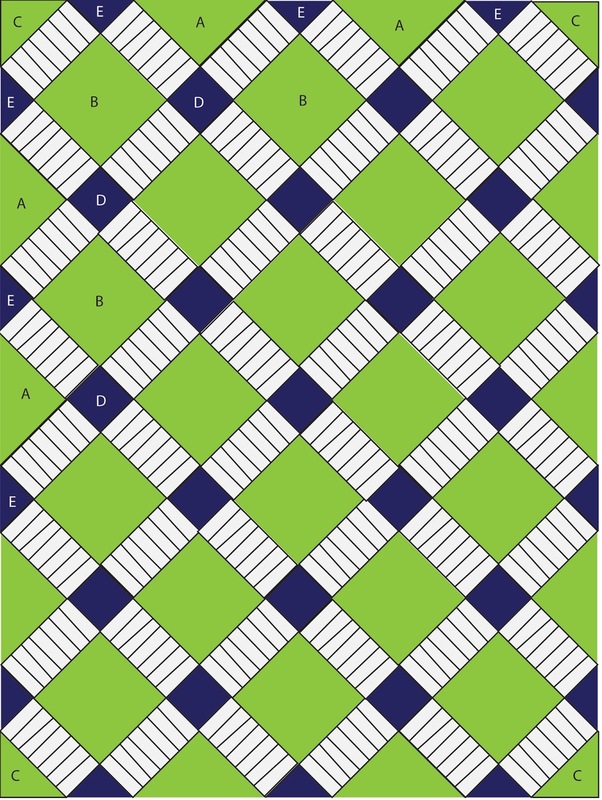 The June quilt is set on point (the blocks are placed at a 45 degree angle, rather than a 90 degree angle), so the quilt will be assembled in diagonal rows. 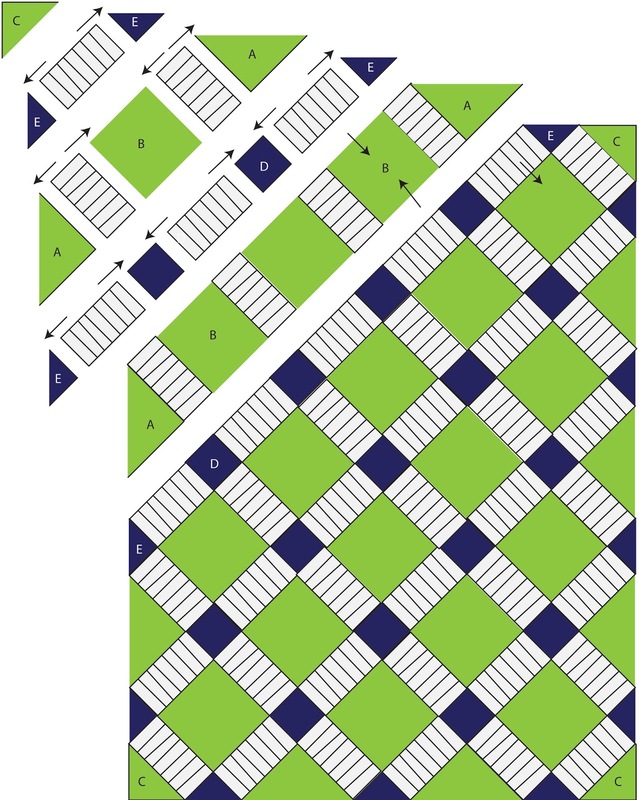 The assembly diagram above illustrates how the rows are pieced together. It may look a bit complicated, but it's not difficult if you take it one step at a time. Arrows indicate pressing directions. Yesterday I took a bunch of photos to illustrate the steps above, but as I was working on the post this morning, I realized that I was assembling the quilt from a different corner than the instructions in the book, so it would have been super confusing. (Blergh!!) So, hopefully these illustrations will get the point across. This is when it gets exciting!!! I put the pieces up on my design wall, (minus a few string blocks, because they weren't all finished at this point) and I was delighted to see how this version is coming along. I really, really like it!!! Here's a closer look at the patchwork. I like that I ended up using two different kinds of aqua for the cornerstones. 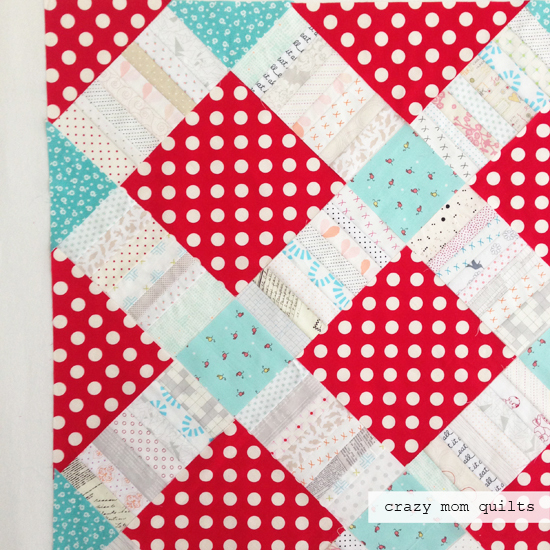 It's not disruptive at all and it adds a lot of interest to the quilt. Plus, I was able to use what I had, which was key. Making do with what you have can be a very good thing! It's amazing how different it looks from my first layout, isn't it? This really (!!!) illustrates the importance of editing. It's fun to see the progression by comparing the two side by side. 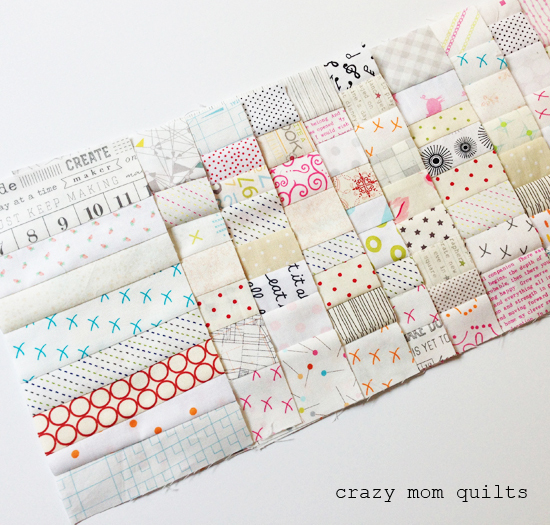 It will be fun to sew the quilt together and see the finished product. 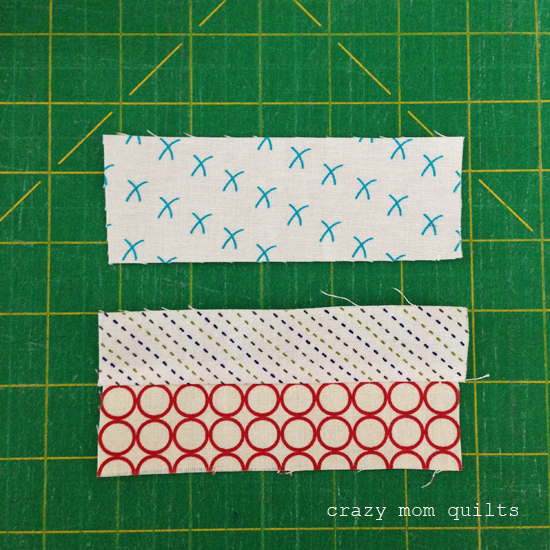 Now, let's talk quilting ideas. 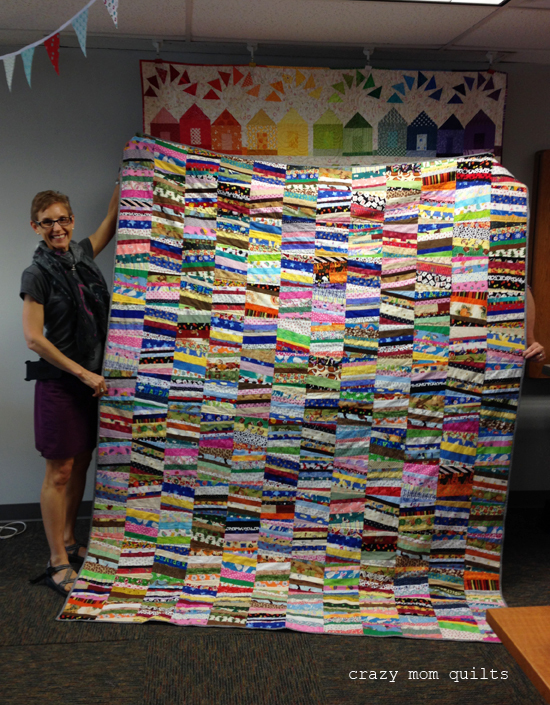 For the original June quilt in the book, I sent it off to Steffani, who quilted it on her long arm. 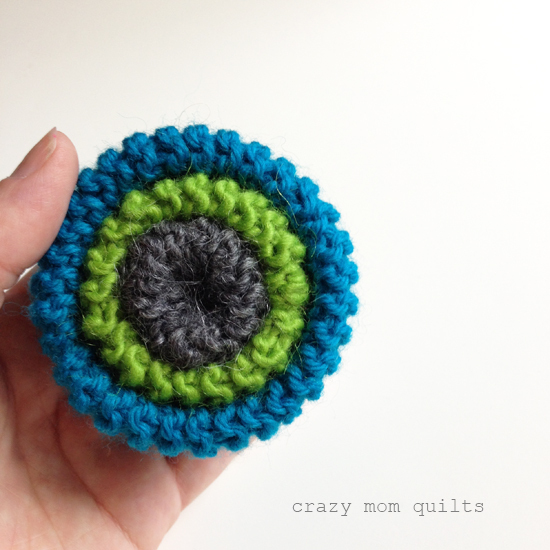 She helped me pick out this all over loop pattern. 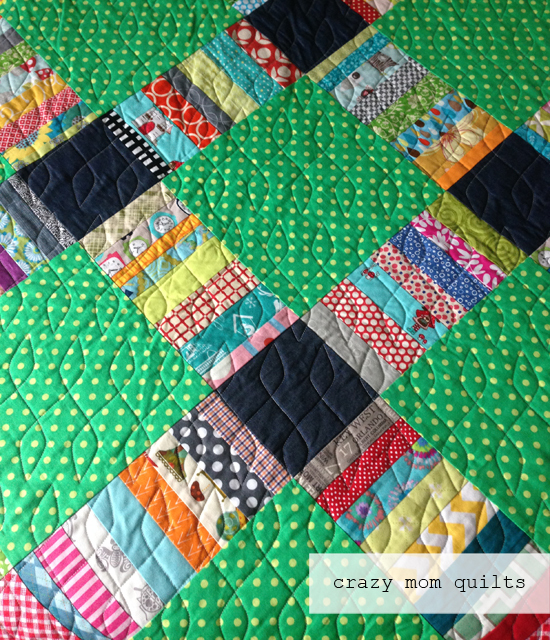 I still love this choice of quilting! 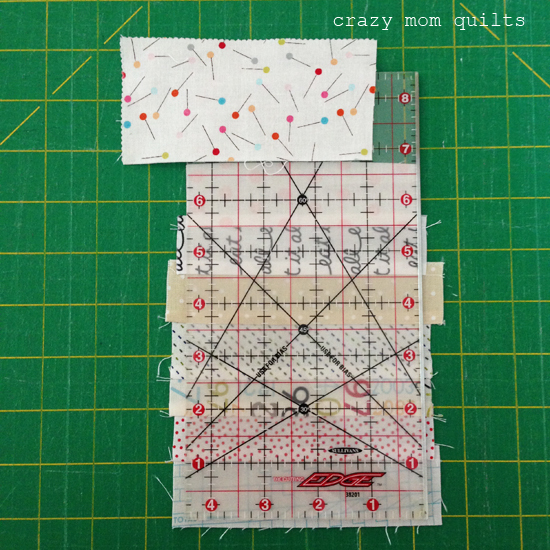 I was especially happy to not have to wrangle an 85" square quilt through my machine. Ha! 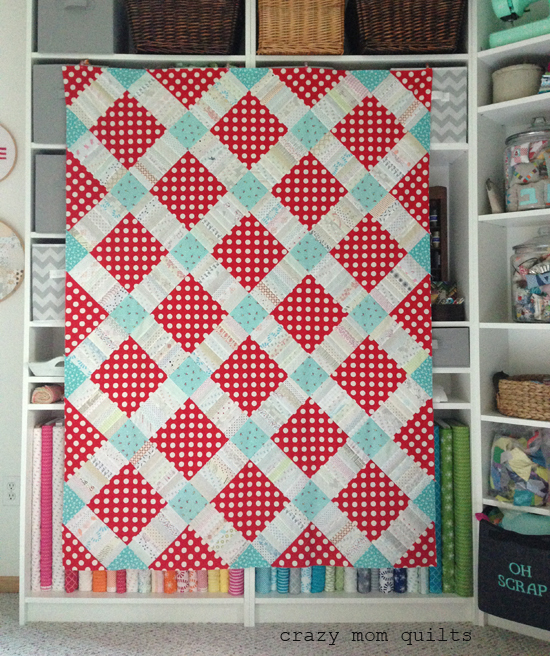 My friend Katherine did a great job quilting her version of the quilt. 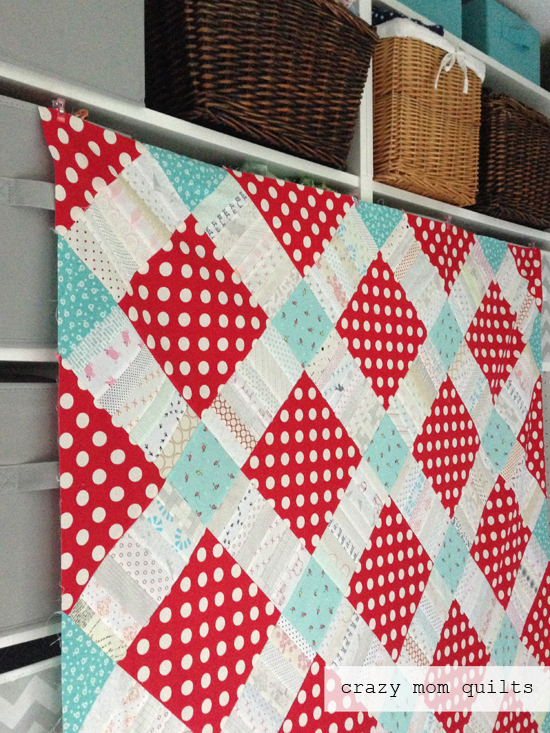 Scroll down to the bottom of this post to see the fabulous quilting that she did on her domestic machine. It's really quite incredible! 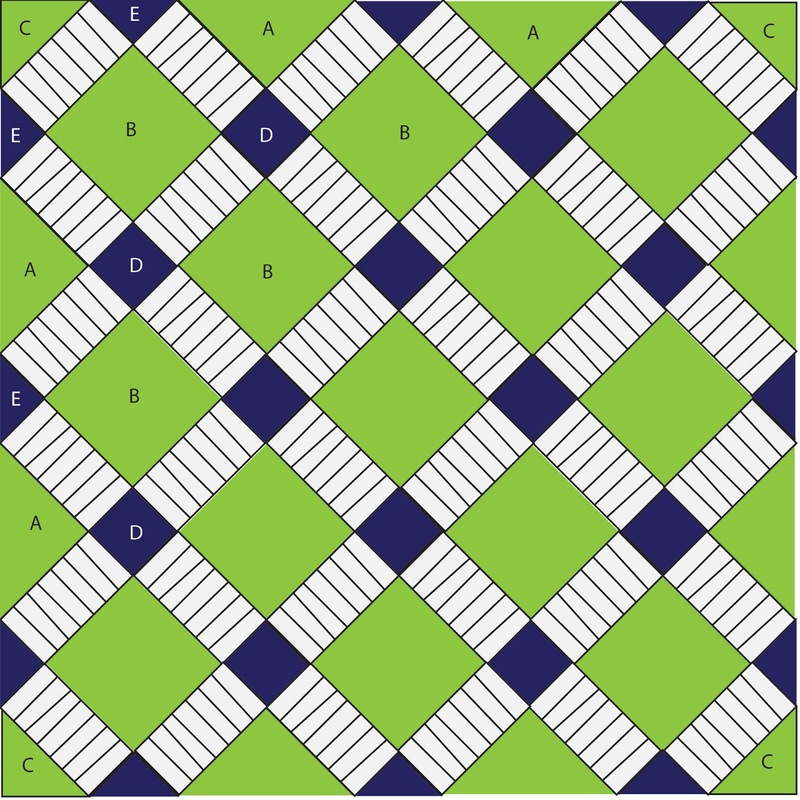 One other quilting idea I had was to use a walking foot to do some concentric square quilting in the larger squares, but I am not sure how I would quilt the rest of the areas. Maybe you have a good suggestion for that? 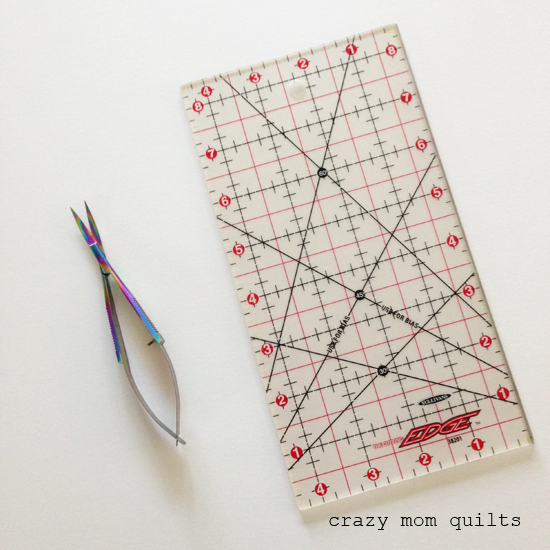 One last thought....if you take a photo of your quilt and print a copy onto paper, you can practice drawing quilting designs to audition your ideas before you turn on the sewing machine. 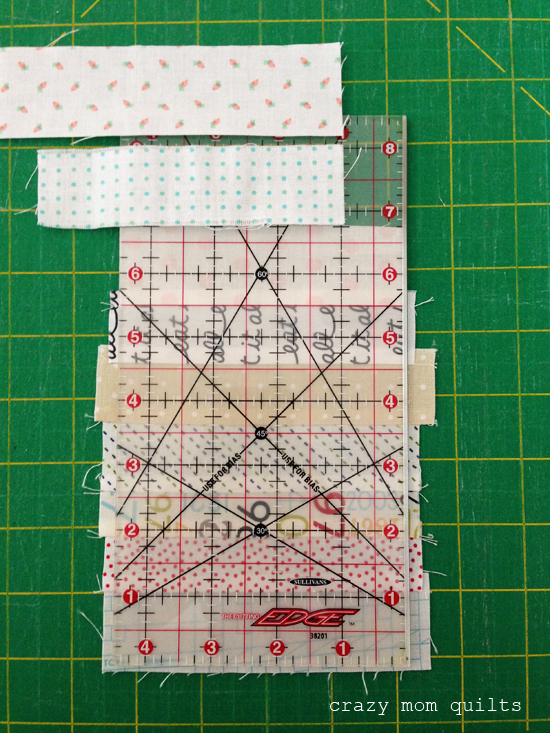 Hopefully the sketching ahead of time can help you avoid a lot of stitch ripping! There you go! 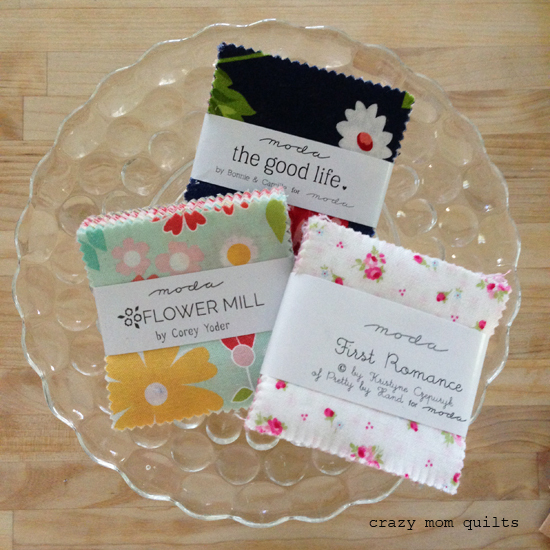 This post wraps up the June quilt along! 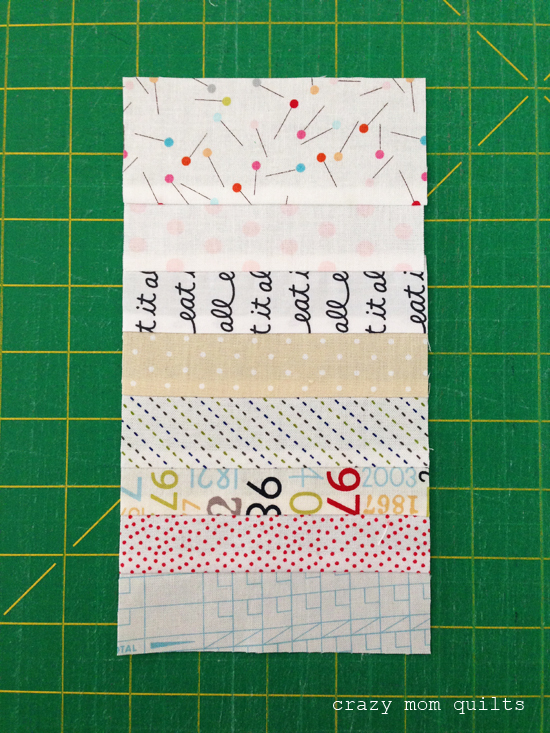 Please remember to hashtag your photos with #junequiltQAL on Instagram or Facebook, so I can see your progress. 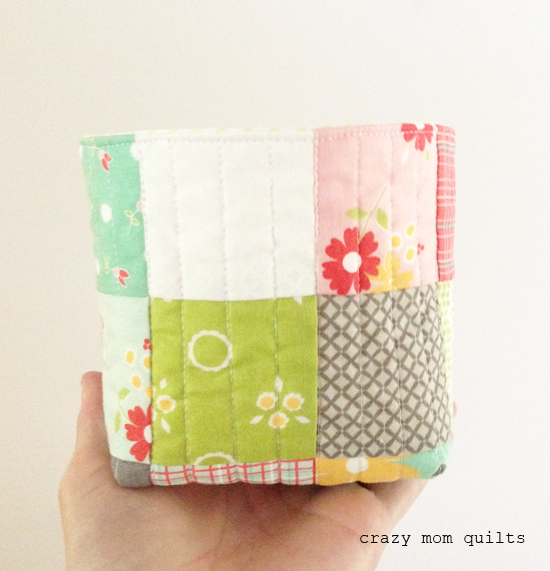 Thank you so much for quilting along with me! 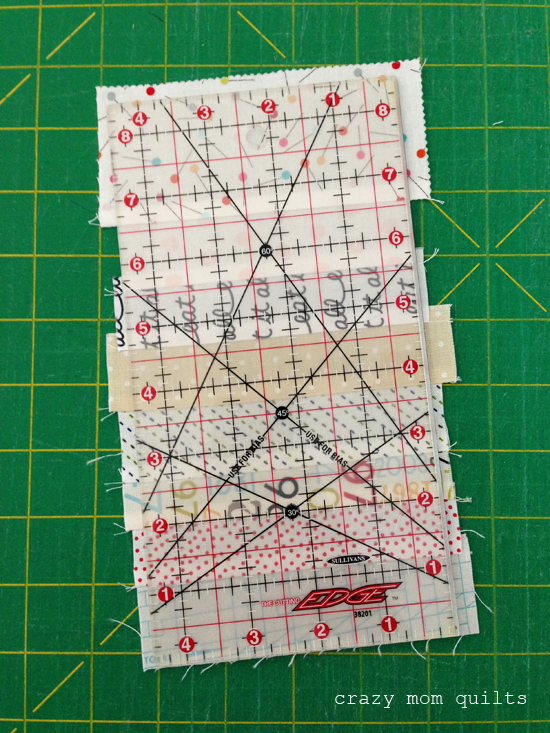 I'm so sorry to say there was a cutting error in the June QAL instructions. For the background fabrics, the instructions should be: cut 2 squares 6 5/8" and cut on the diagonal once to make 4 half square triangles. (Label as C.) I apologize for the error. The original blog post has been updated with the changes as well. 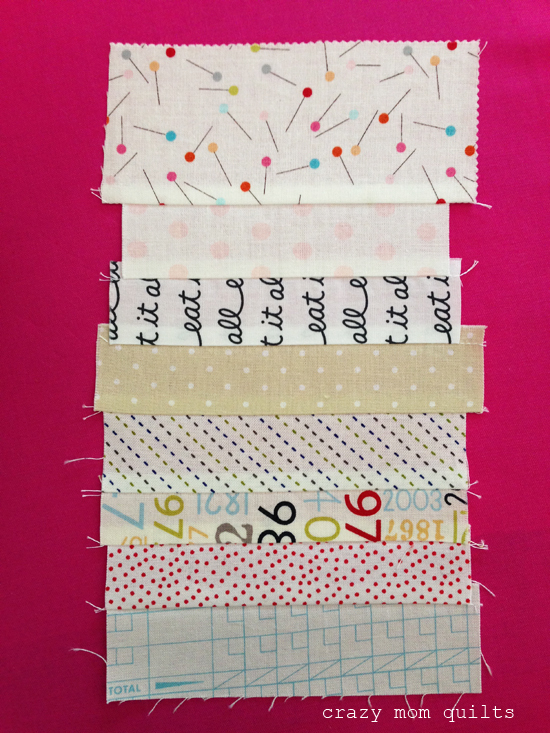 Welcome to week 3 of the June quilt QAL! 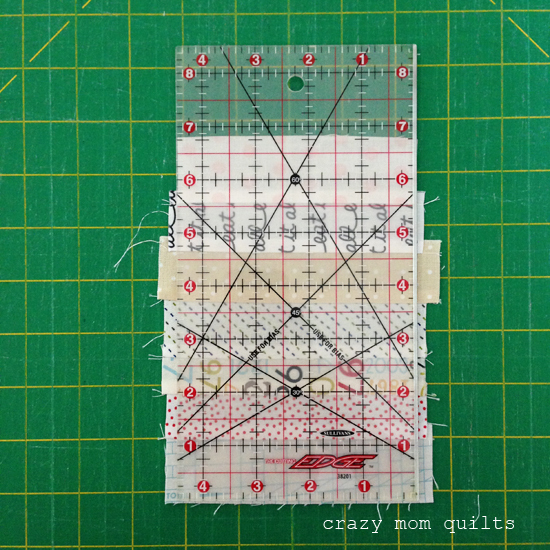 I hope you all are having fun making your June quilt blocks. 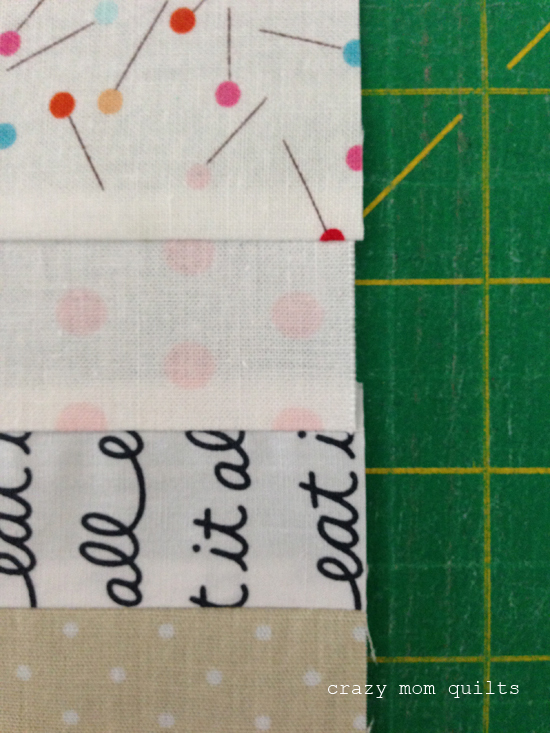 After the comments last week, I took another look at my cornerstone fabrics. (The original ones that I picked are the top left squares.) They ARE too light....(thank you for pointing that out! )...so I selected a more saturated red fabric. I like the saturated red cornerstones better, but I had a feeling there was still a better option. 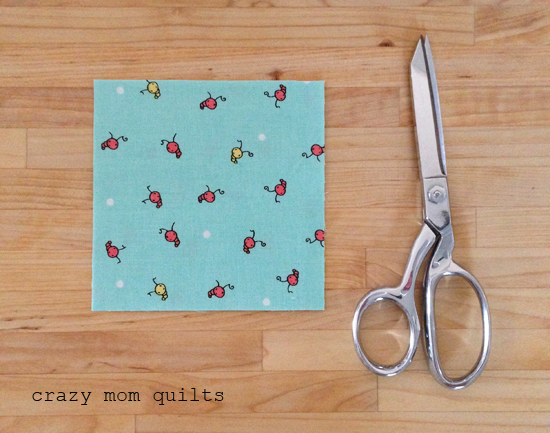 I auditioned a LOT of other fabrics, and I found two different aqua fabrics. I like them both, but I don't have enough of either one, individually, so I decided to use both. 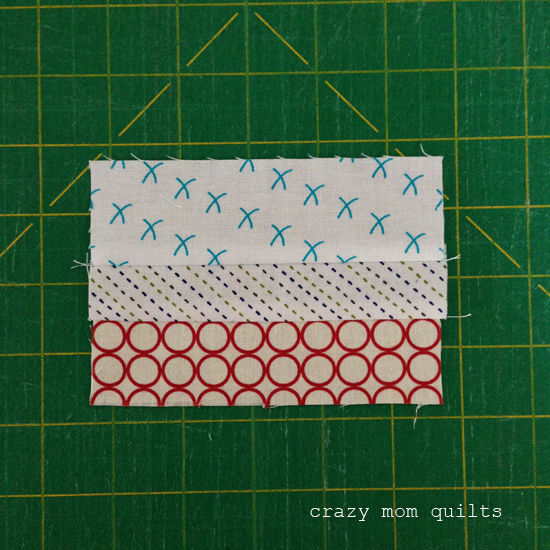 I think the aqua fabrics will add a lot more pizazz to the quilt. 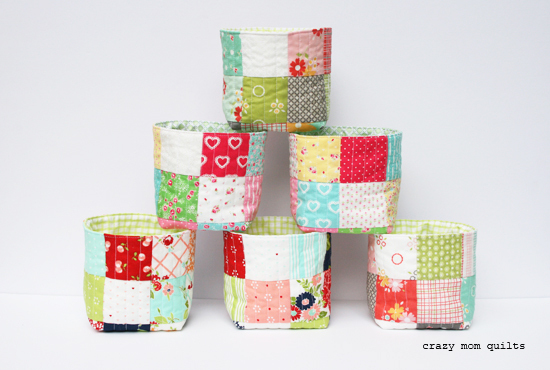 I'm still using fabric that I have on hand, so that's good! Remember what I said about editing until the very last seam is sewn? This is a great example of that very thing. 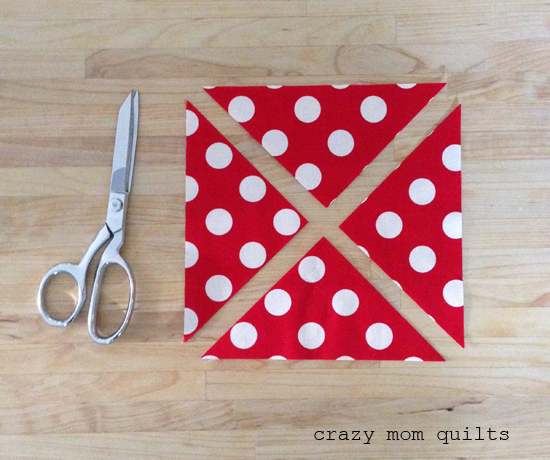 For the baby size, cut 2 squares 12 5/8" and cut them in half on the diagonal, twice, to make 8 quarter square triangles. 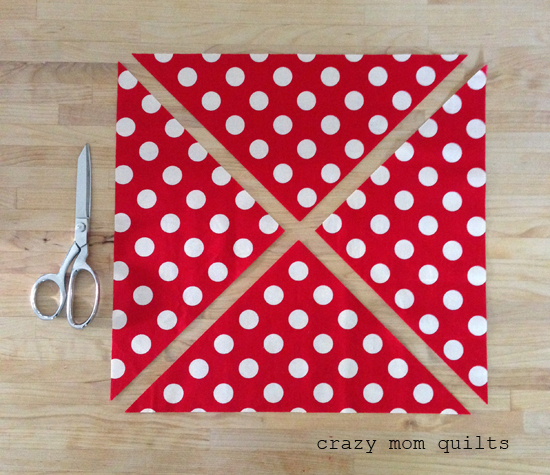 For the baby size, cut 13 squares 8 1/2". 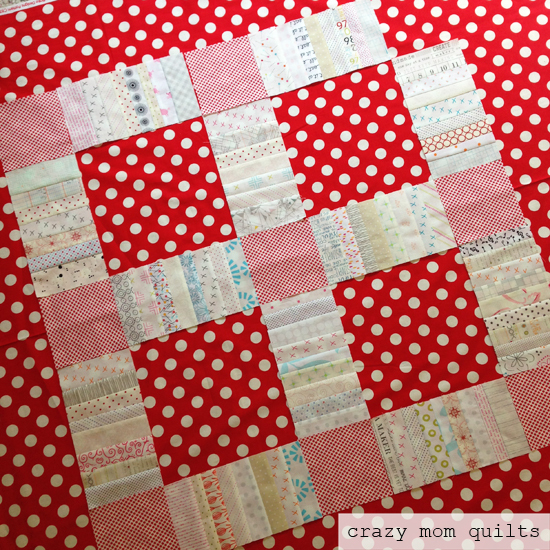 For the lap size, cut 18 squares 8 1/2". 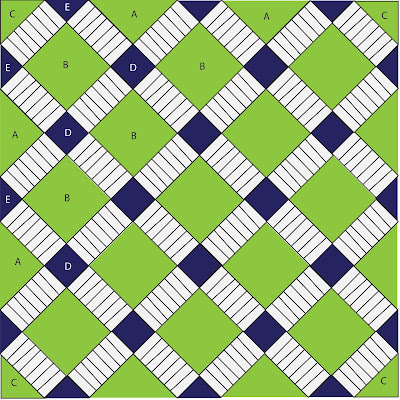 For the baby size OR the lap size, cut 2 squares 6 5/8" and cut on the diagonal, twice, ONCE, to make 8 4 quarter half-square triangles. 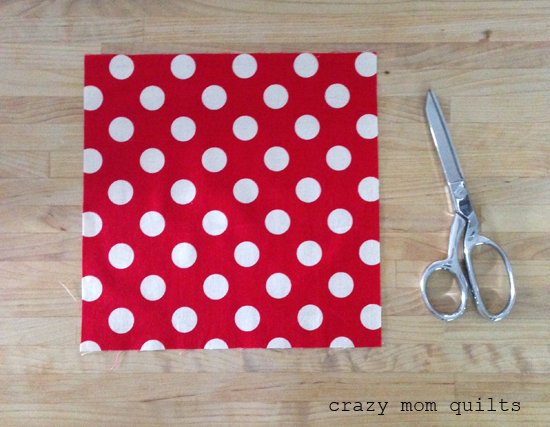 For the baby size, cut 12 squares 4 1/2". 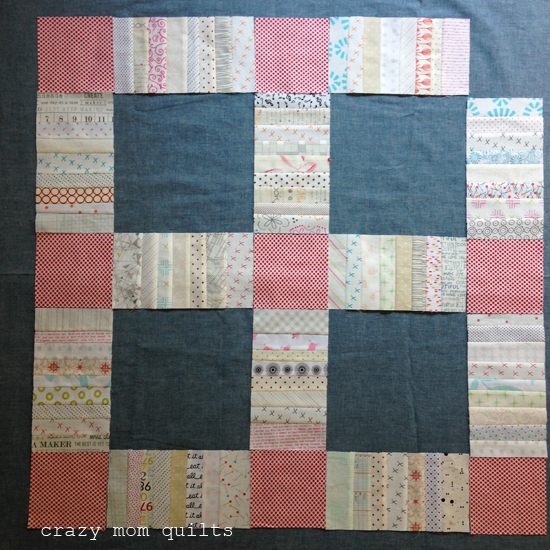 For the lap size, cut 17 squares 4 1/2". 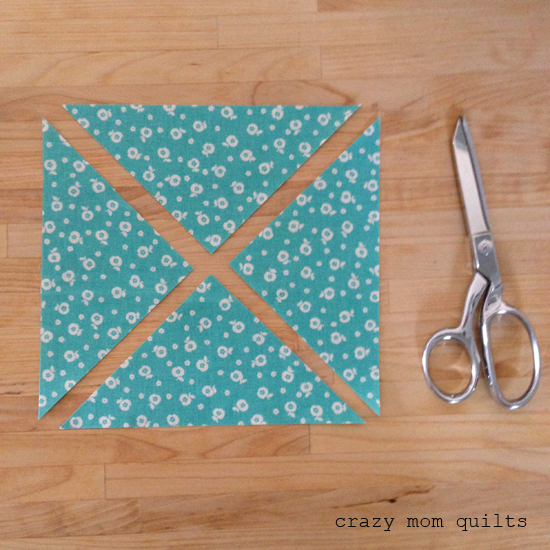 For the baby size, cut 3 squares 7" and cut in half on the diagonal, twice, to make 12 quarter square triangles. Next week we will get into quilt top assembly! If you have any questions, I will try to answer them in the comments. 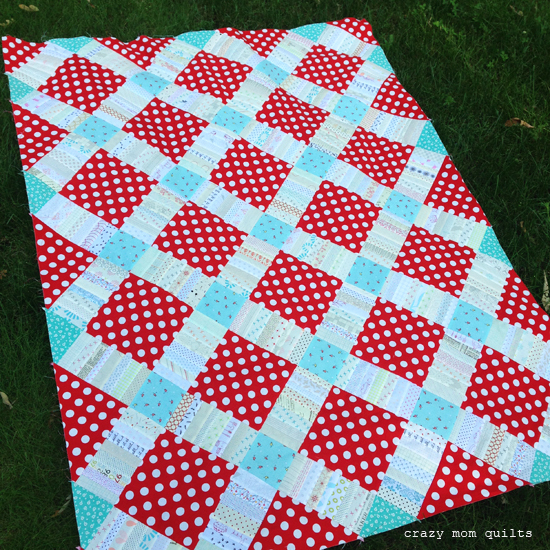 Thank you so much for quilting along with me! 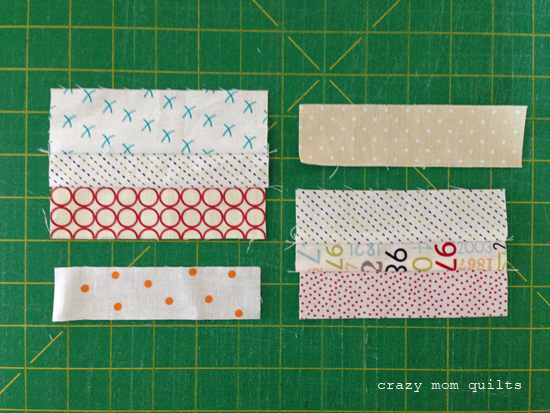 This week we are making strip set blocks for our June quilts. I took a lot of photos to share and I hope that you find some tips or tricks to help you along the way. 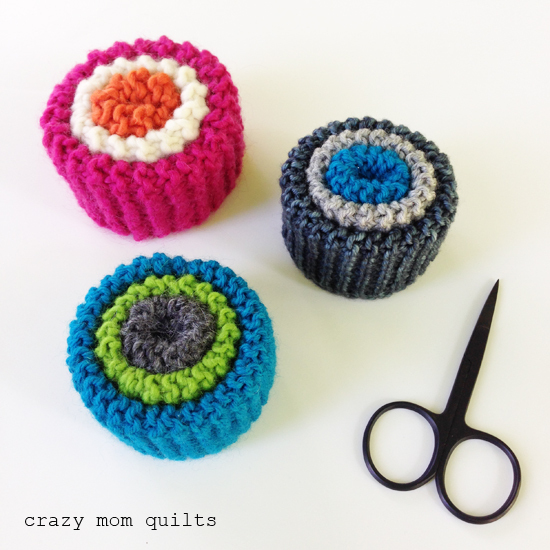 They are simple blocks to make...I hope you have fun with them! This is my initial fabric pull for my low volume blocks. 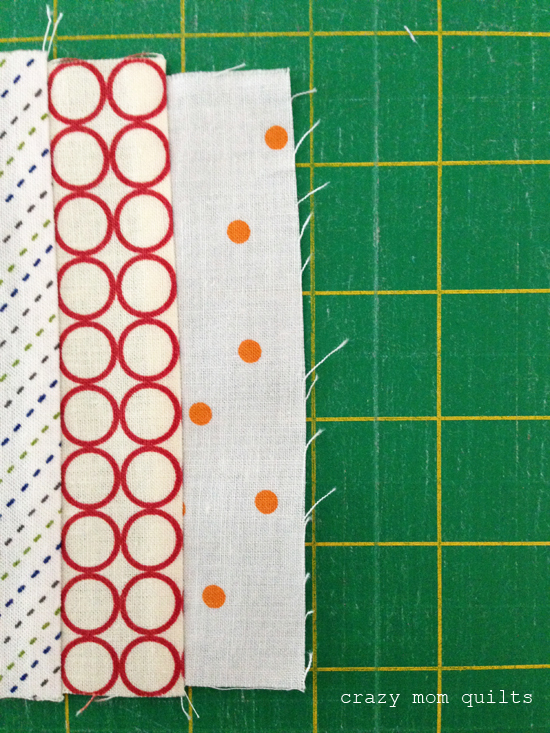 Anytime I make a quilt, I start with a fabric pull, but I edit constantly, up until the last seam is sewn. These are a few of the strips that I took out, because when it came down to it, they were too bold for my liking. 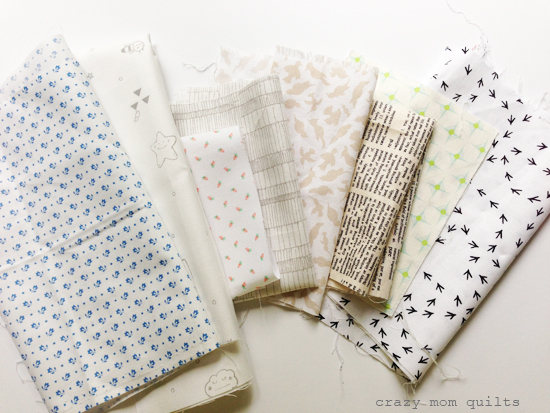 Here are a few fabrics that I added because I needed more variety of subtle colors and prints. 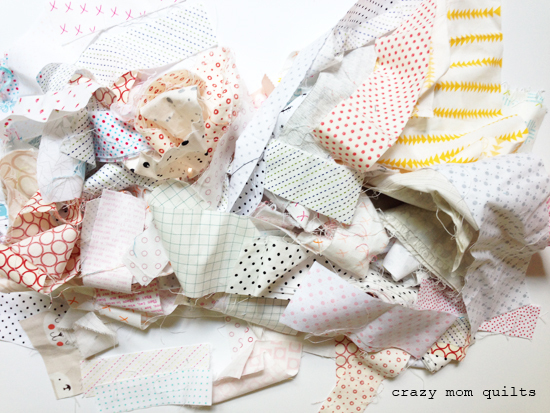 Successful scrap quilts take a lot of editing! It's a good thing there is no shortage of scrap around here. Ha! No special tools are required for this quilt along, but I found these two very helpful. The ruler is 4 1/2" x 8 1/2"...the same exact size as the unfinished strip sets. The thread snips (by Farmore Cutlery) are wonderful for chain piecing. 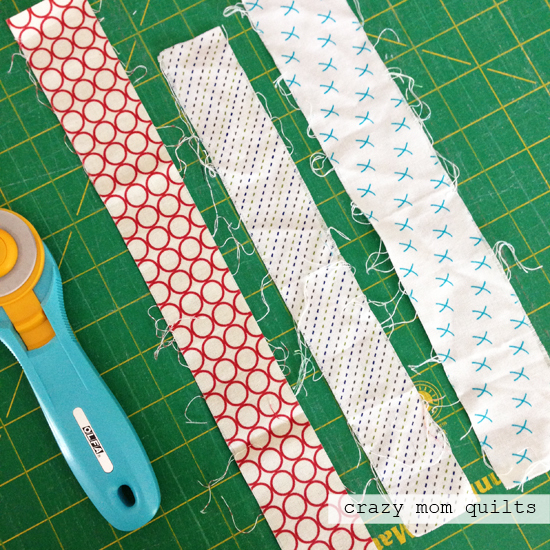 They are easier to pick up than a pair of scissors and are sharp, with a slightly curved tip...perfect for cutting the threads between quilt blocks. One thing I hate about working with strings is just that....they are stringy! I recommend cutting a fresh edge right before you start using the strips. 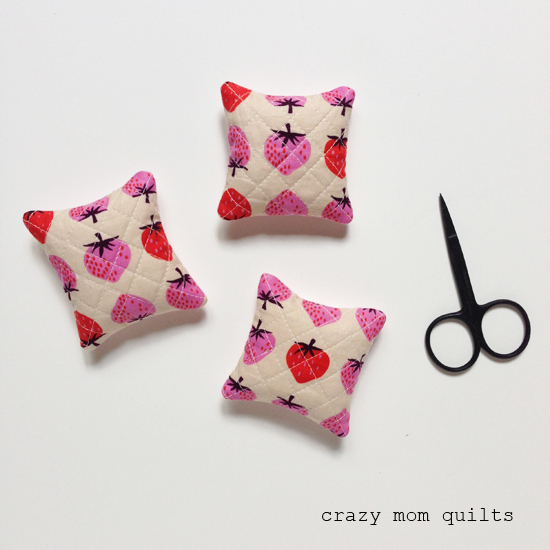 It makes it easier to sew the pieces together and the finished quilt blocks will be tidier. It takes a bit more time, but it eliminates a lot of frustration. 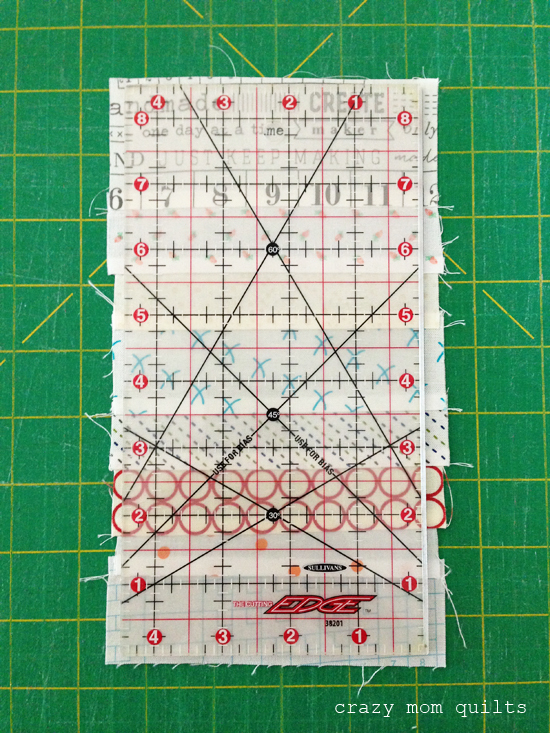 Once the strings that you selected are tidied up, cut a few segments that are slightly longer than 4 1/2". 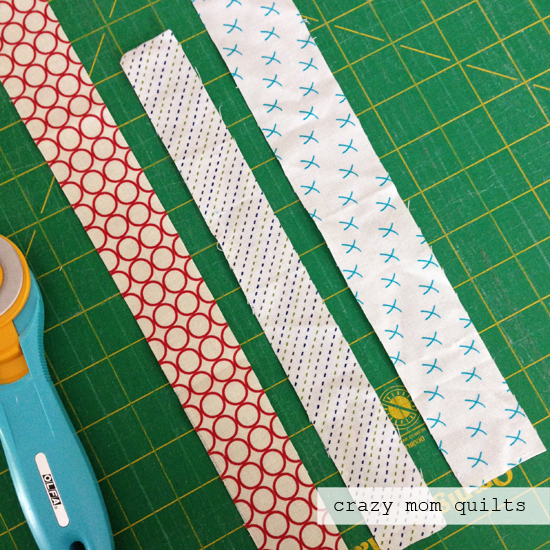 Sew two strips together and press the seam to one side. I like to work on two or three strip sets at a time. Then, I can chain piece and that makes me feel efficient. Haha! Audition strings and add pieces to either the top or the bottom. Or, some of each! At this point, I measure my block. I have about 1 3/4" of space left to fill, so I start weighing my options and auditioning fabrics to finish the block. Or add two narrower strips. 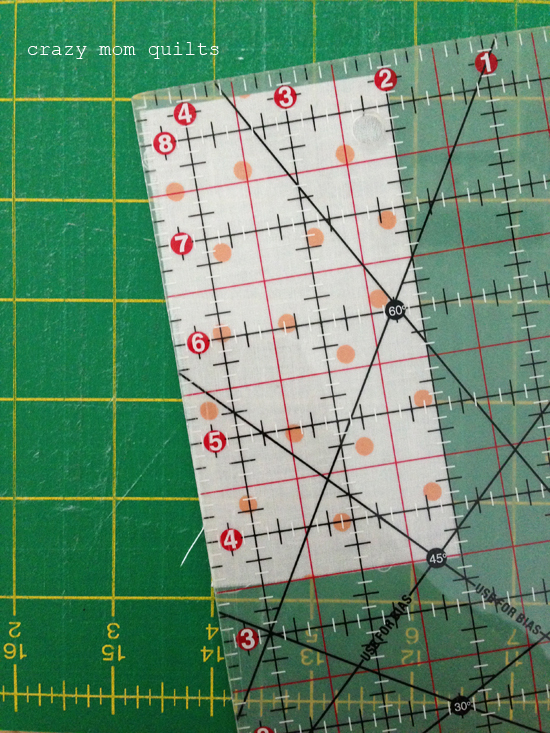 Remember to account for seam allowances when measuring, especially when adding multiple strips. 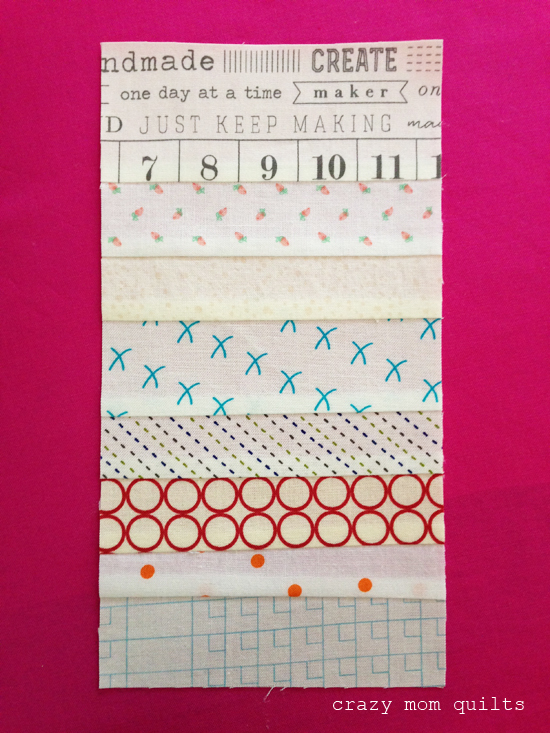 The goal is to avoid ending up with a very skinny strip (3/4" or less) on either end of the strip set. I decided to add the one wider strip to the block. At this point, press the strip set well. A little bit of spray starch or steam is helpful for getting the blocks to lay flat. 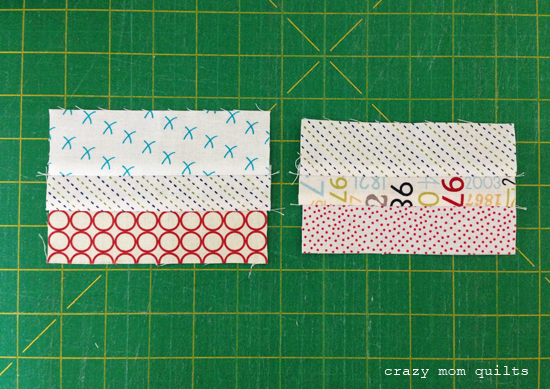 Measure the block again and make sure that the strip set is larger than 4 1/2" x 8 1/2". There is a bit extra on nearly all sides, but very little waste. Hurray! Trim the strip set to 4 1/2" x 8 1/2". Then continue to add strips to the piece until it's the desired size. Sometimes trimming off a small sliver of fabric makes a big difference! You could also add a wedge shaped piece to the end to compensate for the curved piece. What you want to avoid is a banana shaped strip set. Those are pretty hard to square up. OR, I cut it in half, and have two usable strips. That's a much better solution! No waste, and no awkward scraps leftover. Win, win! I managed to finish about a dozen low volume blocks for my quilt this week. I think they are so pretty all lined up together! 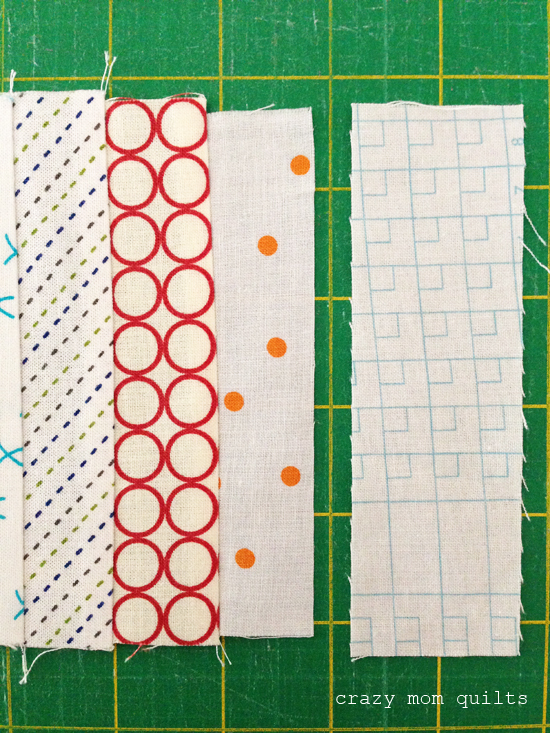 I am very happy with my fabric selection and editing so far, too. For the baby size, make 36 string set blocks. 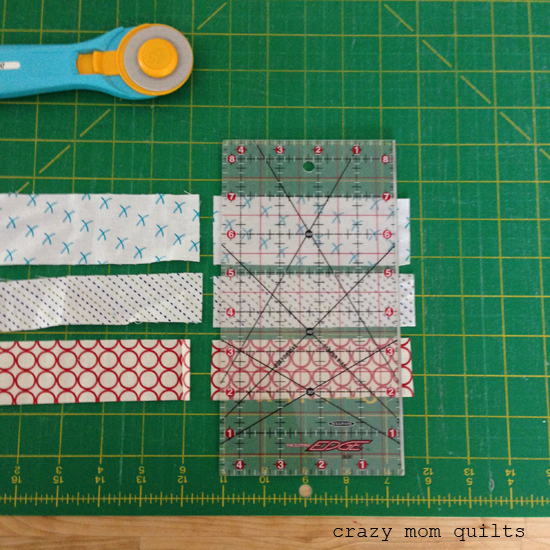 For the lap size, make 48 string set blocks. For the quilt in the book (85" square), make 100 strip set blocks. Each block should measure 4 1/2" x 8 1/2". 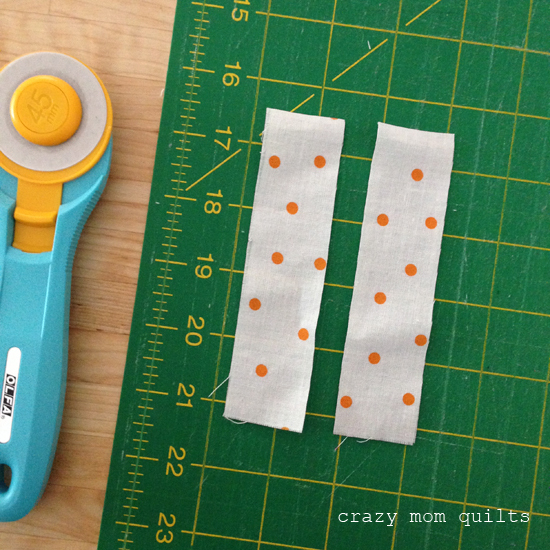 After I made several low volume strip set blocks, I arranged them on my polka dot background fabric to see how it would look. It looked awfully bold and a little "out there". I wasn't completely sold on it. I decided to audition my blocks on a chambray fabric instead. It's ok, but it's too safe and a little bit boring. 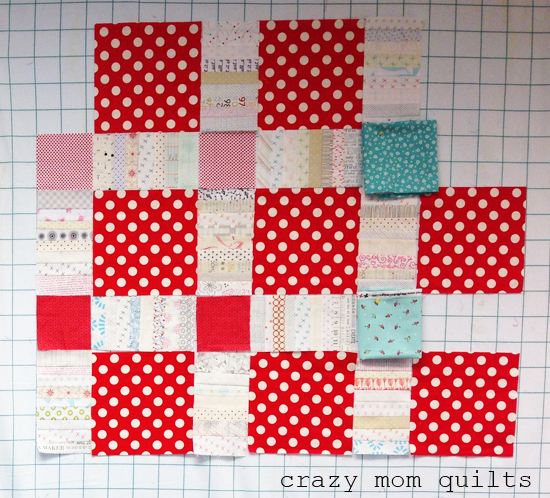 After several days of consideration, I'm definitely going with the red and white polka dot background. Both would work, but I like the first option better! Often times seeing an alternate option helps make the decision. Taking a few days to think it though helps, too. 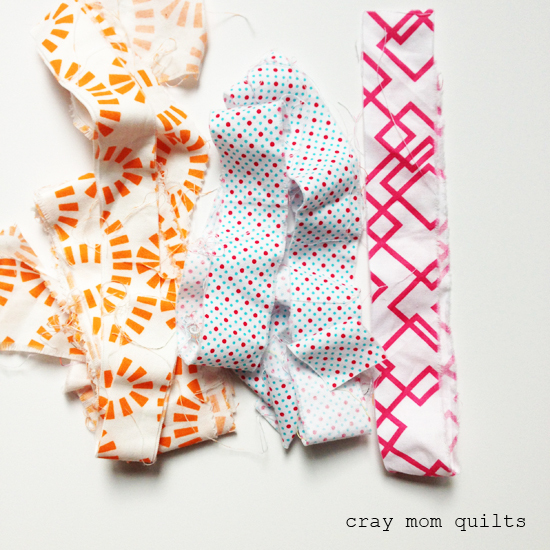 There are hundreds of other fabric options out there, but I wanted to use my stash, so that's a big determining factor. That's it for me today! 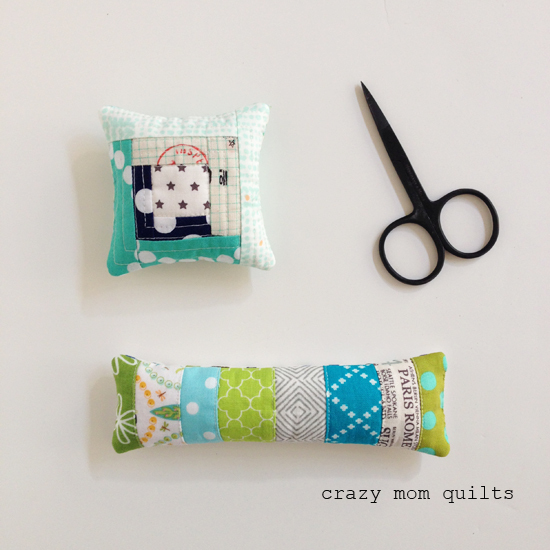 I hope you have fun sewing up your quilt blocks! I will try to answer any questions in the comments. Thank you for quilting along with me!